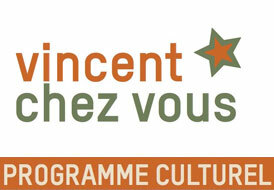 La Vie passionnée de Vincent Van Gogh film by Vincent Minelli & George Cukor– Rencontres Cinématographiques*. In 1878 Vincent Van Gogh leaves Holland for Belgium, where he discovers the misery of the miners. He tries to help them out and ends up giving them some goods that belong to the Church, he thus stirs up the irritation of the clergy. Worried, his brother Theo persuades him to go back home. He starts painting, he falls out with his familly and falls in love with his cousin Kay who rejects him. Paris, summer 1891, Armand Roulin has been asked by his father, the postman Joseph Roulin, to hand in a letter to Theo, Vincent van Gogh’s brother. In fact, the news of Vincent van Gogh’s suicide just came. Armand, who doesn’t approve of the relationship between his father and the artist is not very pleased by the misson that has been assigned to him. Da gadjo, presentation of the project by the artist Alessandro Quaranta that was carried art by the artist in a roma camp. Exhibited on the museum’s ground floor. Laurent El Ghozi President of the Fédération nationale des associations solidaires d’action avec les Tsiganes et les gens du voyage (FNASAT). Alain Reyniers Ethnologue and Scientific Director of the magazine Études Tsiganes, in charge of research and training courses at the FNASATIn parternship with the Centre communal d’action sociale (CCAS). 8 :30 pm Carmen y Lola film by Arantxa Echevarría – Rencontres Cinématographiques*. Carmen lives in a gypsy community in the suburbs of Madrid. Like all the other women she has met in the community , she is destined to repeat a scheme that has been the same for generations : get married and raise as many children as possible, until the day she meets Lola. The latter is also a gypsy and dreams of going to university. She does graffitis representing birds and likes women. A complicity and bond will quickly developp between the two women wich will inevitably bring them to be rejected by their families. On presenting a ticket of the Rencontres cinématographiques, you will get a reduced fee (4 euros) at the entrance to the Musée Gassendi.